Alexander Bogen was born in Vilnius (Vilna) in 1916, to the Katzenbogen family of physicians. His grandfather, noted Torah scholar R. Tuvia of Volkovysk, was the town’s rabbi. Bogen studied painting and drawing in the art department of the university in Vilna. In the Second World War, Bogen served as commander of a partisan battalion in the Narocz Forest of Belorussia. During the most difficult period of the Vilna ghetto, when many of its civic activists were despairing in the face of certain destruction, Bogen infiltrated the ghetto under the auspices of the United Partisan Organization [Fareynikte Partizaner Organizatsye; FPO]. He organized groups of Jewish youth and led them out to the forests, where they joined the “Nekama” [Hebrew/Yiddish: Vengeance] Jewish partisan battalion, subsequently famed for its combat missions. 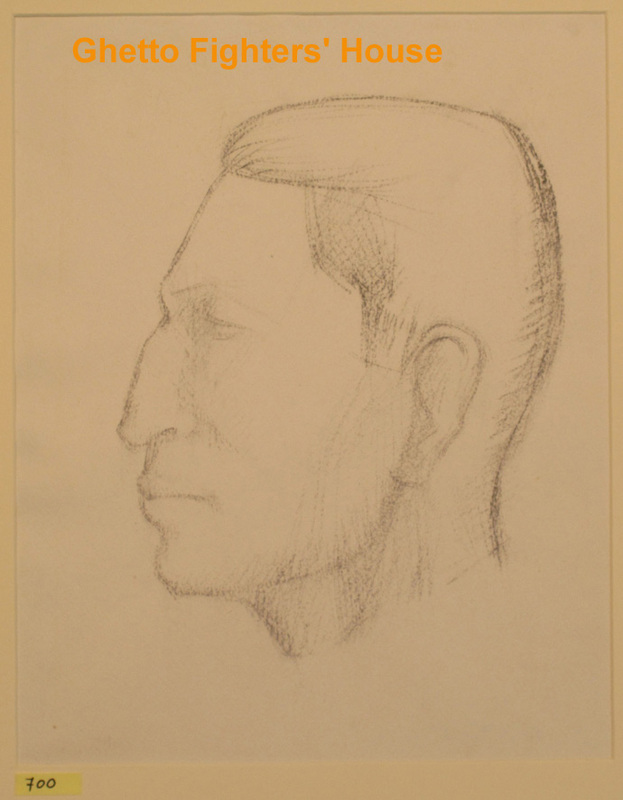 While in the ghetto, Bogen sketched its residents and the alleys and locales of Vilna, “the Jerusalem of Lithuania.” In the forest, between battles, he made drawings of the Jewish partisans and scenes from their experiences. At the war’s end, Bogen enrolled in Vilna’s Academy of Art. In 1947, he completed his studies with distinction and was appointed professor in the Academy of Fine Art in Lodz, where he gained renown as a painter and sculptor, set designer, and book illustrator.